Spring 2019 Target Birds: Beginning of multi-Warbler Migration thru our area of Pennsylvania. Will need lots of skilled birders to listen for them. In addition stop over visits of birds moving thru include species of Thrushes, Vireos, and Flycatchers. Children 2nd grade and up are encouraged to attend and will need to be able to be quiet for periods of time. Wear suitable hiking clothing and shoes for the weather. (Birding Adventure is rain or shine but not heavy winds) Bring a liter of water to stay hydrated. The Adventure will take the following route – Cadet Trail to Laurel Trail up to the Southeast Entrance on Brower Rd. We will then walk along Brower road to the Southwest Entrance trailhead. Enter briefly on the Old Wood Rd Trail and turn left to join the Nancy Lang Trail. Take the entire trail until it joins the Cadet Trail. Then cadet Trail back to point of beginning. This route will cover 4 habitats in the following order, starting with marshy wetlands and slow moving creek; secondly we will approach small meadow and low dense brush bordered by mature trees habitat; then into a dense mature hardwood sloped/hillside with slight understory growth; and lastly a riparian valley with low dense cover. The habitat variety is the beauty of McKaig Nature Center Park. Approximate distance will be slightly under 2 miles with an approximate net elevation gain of 200’. 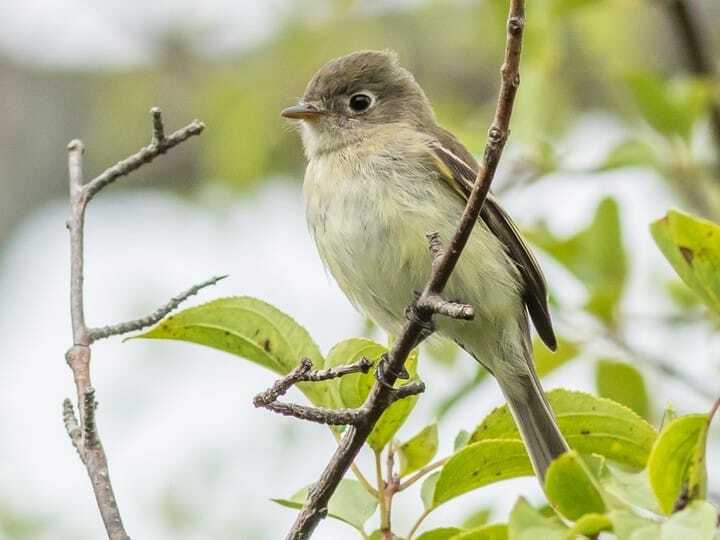 June 30, 2019 - Target Birds – Summer and year-round resident bird species. World Life list of 634 Bird species, with 593 species in the United States ABA territory. Wear suitable hiking cloths and shoes for the weather. (Birding Adventure is rain or shine but not heavy winds) Bring a liter of water to stay hydrated.